Leslie James (Margaret Lockwood), a stage name taken by a young woman who runs away from a finishing school, falls in with a carefree group of chorus line girls who fancy themselves for attracting wealthy men. Upon hearing that a royal bachelor, the Earl of Pangborough, will be returning home after years abroad, Gloria Lind (Renée Houston) positions herself on the arm of the bachelor and invites him to a chorus line performance. 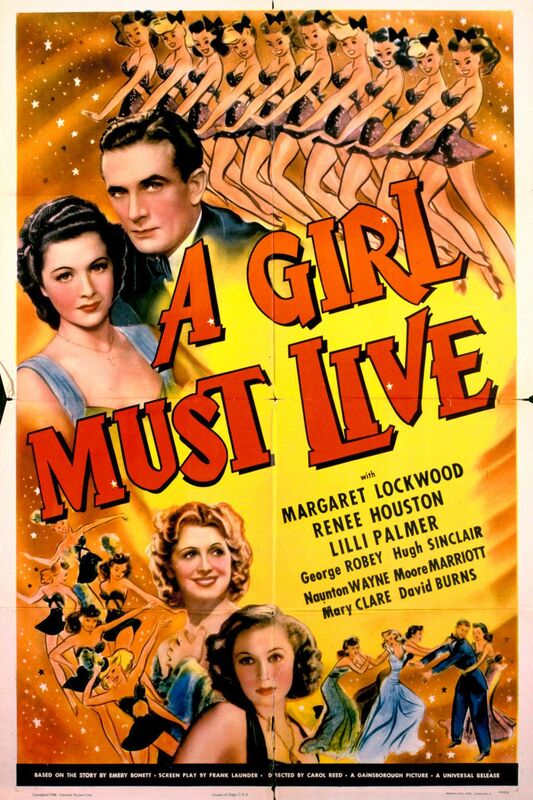 Clytie Devine (Lilli Palmer), after hearing about the Earl, realizes that Gloria Lind had cheated her out of a chance to meet the wealthy bachelor and a raucous fight occurs between the two women. At the chorus line performance, the Earl meets all the women and, afterward, attends a party with them. That evening, each of the three women take turns attracting the Earl. Soon after, the entire dance troupe is invited to the castle-like home of the Earl, where he resides with his mother and house staff. At the mansion, the three women hatch their plans for seducing the Earl, much to the displeasure of his mother. Clytie and Gloria, respectively, attempt to seduce the Earl with the help of the chorus line's con-man assistant, who is looking for his own way to capitalize on the situation. Leslie James, after winning the Earl's affection, admits to her manipulative lies and shows that she has, in fact, become emotionally involved. The Earl, in a romantically idealized set of scenes, falls in love with "Ms. James" and they become married.